Born in small mountain village in Poland, where nature has taught her a way to live in peace and in tune with its cycles. Capoeira - Brazilian Martial art showed her how to be a warrior and how to grow strength not only in the muscle and bone but the one of the mind. Ania provides you an opportunity to become the witness, to dive deep, and sit in the questions, so you can heal. “ I believe in providing tools for people who are interested in finding purpose in their “ human experience “ on this planet in this body, into the situation they chose to be born into. I’m the mirror of your true potential, the voice to be heard from a perspective of a third person, the memory that has been forgotten. My goal is to provide an overall experience where one can enter a labor which will allow the unnecessary layers to be removed and the true self can be uncovered and received. “ Self realization “ is one of the main goals of yoga. So the dreams can become true, so the suffering can lead you to happiness, so the harmony of the senses, the elements can be found. Ania also mentors people who are interested in opening a Yoga Studio or have their dream becoming a yoga teacher of a mentor or just simply turning there passion into business. Carmina's yogic journey began as a way to bring stillness in the mind and connect deeply to her body. From the moment she was able to touch her toes for the first time, yoga has grown to be one of her deepest passions and continues to evolve with the ebb and flow of life. She believes that yoga has a magical healing power in which she wishes to share its abundant gifts with everyone around her. She completed her 200-hour teacher training at Daya Yoga Studio in Bushwick, Brooklyn, where she currently lives and teaches. Carmina's overall intention for her classes is to create a safe space for students to explore and find expansiveness in their bodies, hearts, and minds through movement, attention to breath, patience, and love that will in turn bring about a meaningful life, beginning on the mat and beyond. I received my RYT 200 in 2015 from YogaWorks in Santa Monica, CA and studied to be a Yin yoga teacher with Alana Kessler and Laura Kauffmann in Brooklyn. Ive been teaching in Los Angels, Israel and New York. I teach alignment based Vinyasa with elements inspired by the Iyengar and the Ashtanga methods.I also teach Restorative and Yin Yoga. My emphasis is on providing a safe and personal experience to each practitioner. 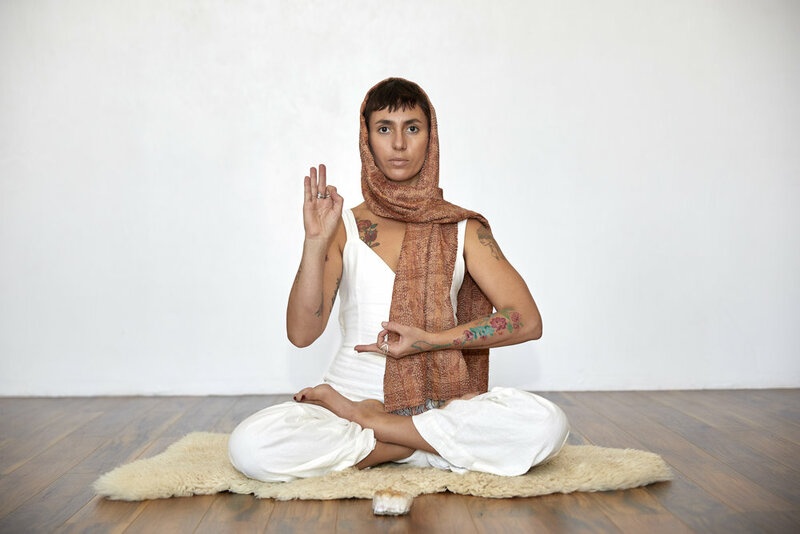 Her classes are conceived through intention, intuition and self inquiry; sequences laced with mudras and pranayama and space designed to explore and express, using the body as a tool to stimulate consciousness. Love is the universal force that heals all separation, and so is yoga - a manifestation of love and compassion. My practice found its way into my life as a deep form of healing. Through practicing asana, breath and meditation, I was able to learn, heal and truly reconnect to myself. In Spring 2018, I completed my 200-hour YTT at Daya Yoga Studio, where I have found infinite support from teachers and community. Since then, I also completed a 32-hour Yin training with Corina Benner at the Integral Yoga Institute. In my classes we practice facing opposition with calmness, to reclaim pleasure and happiness as normal states of being rather than distant goals, to transform the power of the will, to risk openness and connection, to release creative flow and expression, redefine possibility, to see truly, to transcend the self. I first came to yoga in 2007 when the demands of music school practice were starting to wear on my body and began a journey to master the original instruments of body, mind, and spirit as a foundation for the external musical instruments. 2013 found me moving to the Darjeeling district of West Bengal, India where I studied Indian language, music, and mystic traditions. Since 2014 I’ve been deepening my yoga practice and writing, performing, and teaching music in New York City. Lisette is a writer, storyteller, traveler, reader, and dirt-collector. She received her 200-hour Vinyasa certification from Daya in 2016, and her Reiki Level II attunement in Varanasi, India, in 2012. She spends her days as the Director of Content at Wanderlust. I have been a practicing yogi for almost 10 years and a teacher of yoga and breathwork for 5 years. I study and practice Tantric yoga. It is the practice of accessing the awareness of a healing universal force known as prana. As humans we are pranis "breathing creatures" that is why a practice based on upon breathing and accessing prana can be rejuvenating to the physical body ,calming to the mind and uplifting to spirit. Yoga is a great way to keep the physical body in shape but the original purpose is to reach the yogic state of samadhi. From the knowledge gathered on our yoga mats we can become centered, open, sharing beings, and experience the sacredness of the present moment. After years of practice, Vindra remains in awe of the beauty and magic yoga can bring to one’s life; she is charmed by the complexities that her daily practice brings, as she strives to find the fine balance between both contentment and exploration in each asana. Finding herself wavering between periods of deep commitment and dalliances with yoga, she finally decided to immerse herself in the study and completed her 200-hour training at Daya Yoga Studio. To Vindra, yoga is deeply personal, and her intention while guiding a class is to allow each person to explore the depths of his or hew own practice, so that they too can find the love, beauty, and magic of yoga. 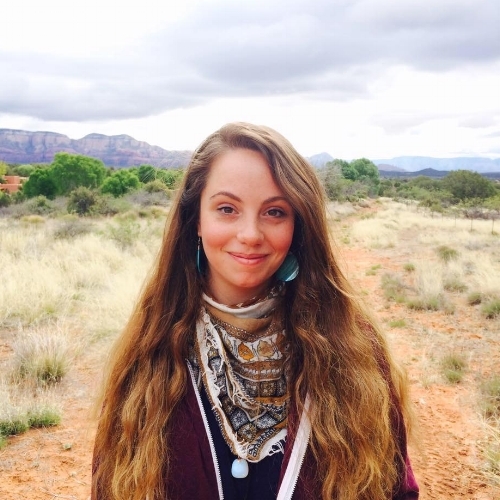 Alyssa earned a Bachelor of Music in Music Theatre in Ohio and during her schooling she had always come back to yoga for grounding and extra nurturing for the mind and body in stressful times. It was through graduating school and moving to NYC in 2014 that yoga become a daily practice. 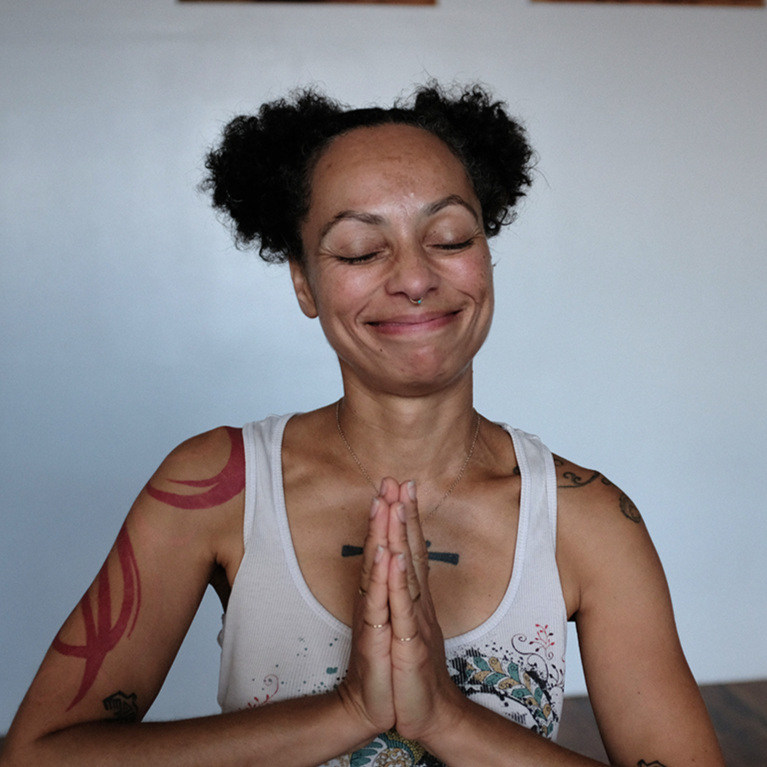 Taking classes at various NYC yoga studios and in Brooklyn- at Daya Yoga Studio, her heart was ignited. The soulful and compassionate classes helped her come back to practicing yoga after a sprained wrist injury. In the Spring of 2016, she completed her 200 hour Vinyasa Teacher Training at Daya Yoga Studio, and shortly after she brought a harmonium into her life. A little happy harmonium baby! She lives to share positivity, love, wellness, and music with others. She believes the intermix of great music, song, yoga asana, and mantra are the way to the heart. Alyssa leads monthly Kirtans at Daya Yoga Studio. Her classes are infused with mantra singing, harmonium playing, and strong focus on alignment and breath, and gentle but invigorating flow. Jayne is ever curious about the human body and how breathe, movement and psychology inform our individual human experiences. She leads a focused, deeply meditative and fluid practice, which offers students a chance to explore more expansive, aligned expressions of self. When she is not teaching yoga she is attending dance parties all over planet earth or cooking for her loves. Holly has always been fascinated by movement and the human body. After training as a figure skater for 10 years and facing injury to both legs in 2014, her yoga practice transformed into a therapy for using breath and movement to work through chronic pain. In 2017, she wrote her senior thesis for her Bachelor of Arts on women’s bodies, exploring how movement allows us to inhabit our physical selves and take agency over our bodies. She completed her 200-hour Vinyasa Yoga training at Daya Yoga in May of 2018, is an 85-hour certified Prenatal & Postnatal Yoga Instructor and Certified Breastfeeding Counselor. Holly is passionate about birth and is continuously deepening her knowledge of the birth world & birthing practices in hopes of better serving people in all stages of their journeys from preconception through pregnancy and postpartum. Zoob is a World Champion Bboy/Breakdancer, Performance Artist, Comedian, Painter, Model, Vegan, Healer, and Kunalini Yoga and Meditation Instructor. Zoob received his certification in 2013 from the Kundalini Research Institute, teaching primarily at Golden Bridge NYC. Originially from Miami, FL, Zoob brings fire, exuberance, and vitality to his classes, to challenge the body, quiet the mind, and experience the vastness of the spirit. Tyler fell in love with yoga as the perfect way to articulate meditation in motion and a beautiful way to build community. Although he would contest that playing music is his lifelong passion, movement has always been a part of his life. Taking gymnastics, martial arts and playing soccer as a child, and then running and developing a heavy calisthenics practice as an adult. Tyler found yoga to bring more purpose and awareness behind each movement and connect with the body in intimate way allowing the mind to release and find peace. As a stand alone practice and hopefully as preparation for mindful movement and thought throughout life, Tyler hopes that everyone should as least give yoga a shot. He spent a year work studying at Body Actualized Center in Bushwick and realized how powerful a tool yoga is in building community and collective consciousness. Deciding to take the next leap, he completed his RYS certified 200 hour at Yoga to the People and has hit the ground running teaching Vinyasa at all of the studios in addition to teaching at Daya in Bushwick. He is forever grateful to all the figures of inspiration, support and guidance along the way and wishes to give back that light in class. Isaac grew up in Nyack, NY, where he was exposed to a holistic lifestyle early on. He teaches classes all around Brooklyn and elsewhere throughout the year. He enjoys teaching any style, but his particular interests and focus are in Power/Ashtanga, Dynamic Vinyasa, Yin, and Traditional Hot Yoga. He finds significance in incorporating various forms and theories of Movement, while making a priority of strong and safe Alignment. He discovered the positive, profound impact Yoga had on him from first time he stepped on a mat years ago. He discovered with consistent practice, Yoga laid a positive and strong foundation that can change the rest of one's life. He has found the practice to be holistically medicinal and therapeutic. His practice has been liberating, while enabling him to develop a strong sense of discipline. It continues to open him to the world, and expand his ability to harness and utilize spiritual, physical and mental strength and fortitude. The practice of Yoga simultaneously improves one from the outside in and the inside out, and leads to a more general equanimity. And, it's a lot of fun! It has led him to finding Truth, Acceptance and Bliss in the Infinite. Isaac completed his 200 HR Yoga Teacher Training at Pranavah Yoga (RYS), his 300 HR YTT with Science of Self YTT and Yoga to the People (RYS), and his 18 HR Yin YTT with Corina Benner at the Integral Yoga Institute (RYS). He is inspired and humbled to share this awesome, ancient union between breath and movement with others. He received his Reiki Attunement with Reiki Master Lisa Levine at Maha Rose, in Brooklyn, NY and his Intuitive Thai Therapy Certifications with Sarah Seely at Maha Rose. He studies Acupressure with his mentor Rose Erin Vaughan. He is incredibly grateful and honored to share these healing modalities and enhance connection and awareness through them. Erika is an artist, ceremonialist and divinatory Guide who follows in the footsteps of rhythmic essence movement symbolists such as Isadora Duncan, Gabrielle Roth and Pina Bausch. She is committed to raising the frequency of our planet through raising the light quotient within each of us through the song, dance, truth, beauty and love. Karrie has loved discovering through yoga the dynamic power of moving and breathing consciously, and is very thankful for the community of people and places this practice has brought her into contact with. Incorporating her knowledge and experience with different kinds of practices such as hatha, ashtanga and Buddhist meditation, her classes aim to promote strength and gradual opening in the body, as well as space for quiet self-observance. She completed her 200-hour teacher training at Daya Yoga Studio and is attuned to Reiki Level I.
Patrick has been practicing Zen meditation for over ten years. He lived at Dai Bosatsu Monastery in 2012 to practice Zen intensively. In 2016, his friend Stephen sat him down for 3 days of lengthy tea sessions which convinced him of tea’s ability to intimately convey the meditative spirit. He has been serving tea ceremonies in the Chinese style since 2017 and continues to study through the tea sage hut in Miaoli Taiwan. He has also been studying Martial Arts at Brooklyn Aikikai since 2013 a discipline which also investigates mediation in motion through Aikido, Zen, weapons training and breathwork. He looks forward to silence and mind-blowing conversations over innumerable cups of tea with friends. Rob recently completed his 200-HR Vinyasa Teacher Training at Daya in 2018. His personal practice is inspired by the Hatha, Vinyasa, and Kundalini traditions. He continues to draw inspiration from many of his fellow Daya teachers, and has devoted himself to being a student and teacher of yoga. Rob's classes focus extensively on alignment, breathwork, and intention to allow each student to gain greater awareness and mastery of self. He seeks to create a healing space for his students where they can explore the depths of body and mind through asana, pranayama, and meditation. Rob's intention is to serve as a guide for his students so they may experience peace, balance, and harmony on and off the mat. A one-time competitive triathlete, Daniel came to yoga to find some balance in a triathlete's demanding training schedule -- and that yoga practice soon became his life's work. Diving head-first into teaching, he has since continued to seek out the many paths that yoga and other movement disciplines have to offer. Daniel believes all yoga can be good yoga. He finds inspiration in the many traditions that have stemmed from BKS Iyengar, Pattabhi Jois, and Bishnu Ghosh. Through rigorous practice and extensive studio and workshop experience, Daniel brings to each session a will to explore the potential of mind, body and spirit, with a passion to help others find their own purpose and peace in active, mindful movement. His classes are well-rounded and alignment oriented, with heavy influence from ashtanga and rocket traditions. You can expect to stretch, strengthen and soar as you take flight through his dynamic classes. Nikki Ortiz took her first yoga class in New York and was immediately draw the yoga’s feeling of liberation. She is a certified 200 hour Vinyasa teacher, and she has studied under Jared McCann for several years. Under his guidance and coaching, Nikki went on to become the New York regional asana champion. Yoga reminds her that the body is a bridge that leads to something higher; each asana pose has the ability to lead students to perfect stillness and peace, marrying their body and soul. Nikki specialized in flexibility training, and teaches students how to use proper technique and alignment to develop their flexibility. She always says that you don’t need to be flexible to practice yoga; in fact, she herself spent years working on her strength in order to tap more deeply into her flexibility. Her classes are filled with encouragement, heart, and grace. Anna grew up in Minnesota, and started her dance training with hip hop and street styles. After taking her first modern dance class at the age of 12, she fell in love and began to explore the world of classical dance. She trained at TU Dance Center throughout high school and moved to New York City as soon as she graduated. Anna trains in many dance styles, including house, ballet, modern, contemporary, and dance theatre. She has also danced works by a diverse range of choreographers, including Ronald K. Brown, Uri Sands, Catherine Cabeen, Morgan Bobrow-Williams, and Gabe Katz. Graduated from Marymount Manhattan College with her BFA in modern dance, Anna currently dances with Amirov Dance Theater Rovaco Dance Company, Seymour::dancecollective, and Mobilized Voices, in addition to creating work as a freelance artist. She works with a powerful energy, unique in its ability to quickly morph from style to style, all while maintaining a supple articulation and water-like quality. Romany (Bani Shiva) has been a part of the Daya family for two years, leading Cacao ceremonies and sharing her intuitive herbal & healing practice at the Psychic Fairs. She is completing her KRI-certified Kundalini teacher training at the Ra Ma Institute in New York, and has begun teaching in Brooklyn. Romany's warm, open nature and heartfull enthusiasm for the powerful technology of Kundalini Yoga makes it accessible for both seasoned kundalini yogis and beginners alike. 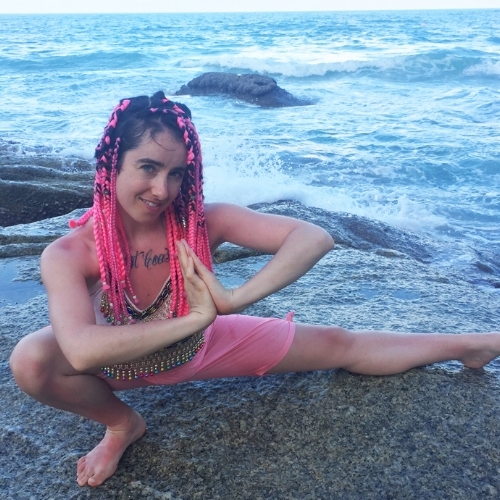 Get a feel for both the exact science & vibrant soul of Kundalini Yoga in her classes and leave feeling energized & revitalized! Sasha is a yoga teacher, actor and activist. Her classes focus on choice making, body awareness and mindfulness. Sasha hopes to create an inclusive and welcoming environment in the studio. She trained at Daya for her 200 RYT and has training in Trauma Sensitive Yoga. Kenny "Kiret Singh" Sperry is a certified KRI Kundalini instructor and graduate of Kundalini Yoga East in Manhattan, NY. From early childhood his life long passion with the concept of spirit and the quest for the meaning of life has lead him through gnostic occult mysticism, shamanic traditions and eventually into the Raj yogic system of Kundalini Yoga. His passion for the unknown translates well into his classes as he infectiously shares the experience of the divine self through daily sadhana, diet, and meditation. Devotion fortified practice. Steady mind, Right Alignment, Right Intention, Diligent, Strong and sweet practice produce an Unshakable practice of yoga, outside and inside of the yoga studio.Those are some of the principles in the practice and teaching of Carlos Vazquez. Multimedia artist lives and works in New York City. groups through movement and yoga classes. She teaches group classes at Daya Yoga and Dou Yoga, both in Brooklyn, and teaches Corporate classes at Eileen Fisher, as well as private classes around NYC area. She studied yoga at Kripalu Center in the Berkshires in 2010, under the guidance of Priti Robyn Ross, with whom she still studies. Linnea is currently studying with Lorin Roche and practicing with the ancient and vibrational text that he translated, called The Radiance Sutras, also know as the Bhirava Tantra. With Roche she is studying to become a private meditation teacher. She has a publication of a book of illustrations that is a collaborative effort with her mother, who wrote the text, and focuses on Oracle techniques for the modern witch.